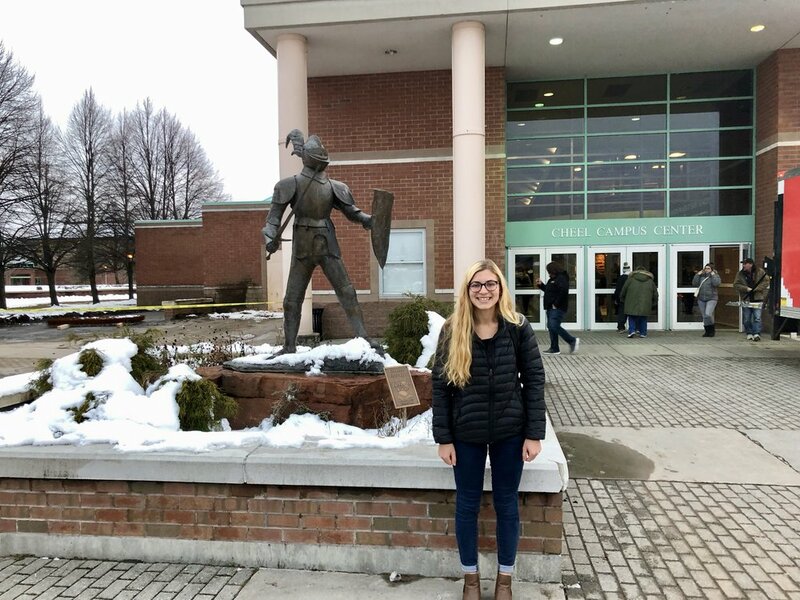 I had a wonderful time at Clarkson University in Potsdam NY last Friday (November 30) giving a seminar on “The role of cell division and membrane trafficking in tissue morphogenesis”. I got some great pointers on zebrafish techniques from Ken Wallace’s group and got to watch Ken do cell transplants in the early embryo! The highlight of my trip was seeing an old friend, Katie Stevens, who worked in our lab last summer. 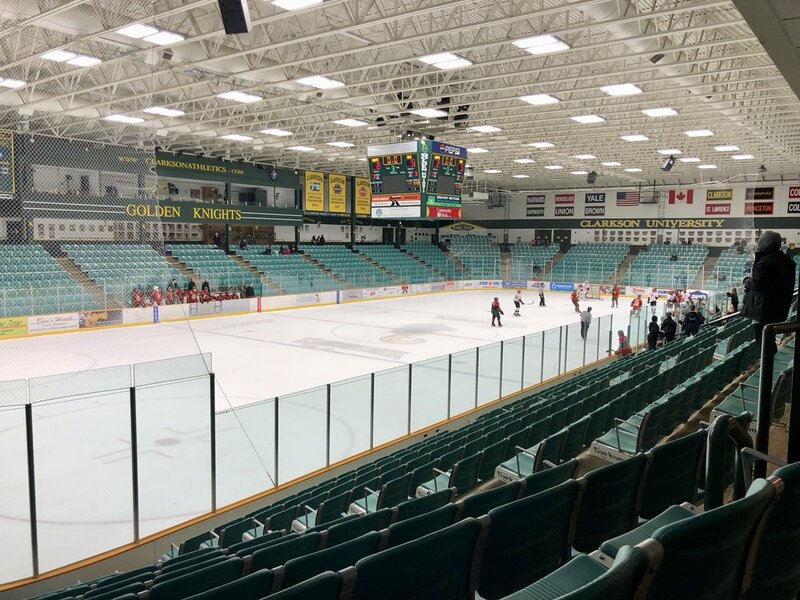 Here’s some photos below of Clarkson University’s campus, Hockey, and Katie. I had a great time talking about the role of cell division in tissue morphogenesis at the Biology Department at the University of Rochester yesterday! Not only did it bring back fond memories of my undergraduate research with Dr. Don Kane in the Biology Department but it was great to see how beautiful the campus is! In addition, I loved seeing Dan Bergstralh and his laboratory. Im so happy to have such a nice group of scientific neighbors. It's coming our First BIO-ART Mixer!